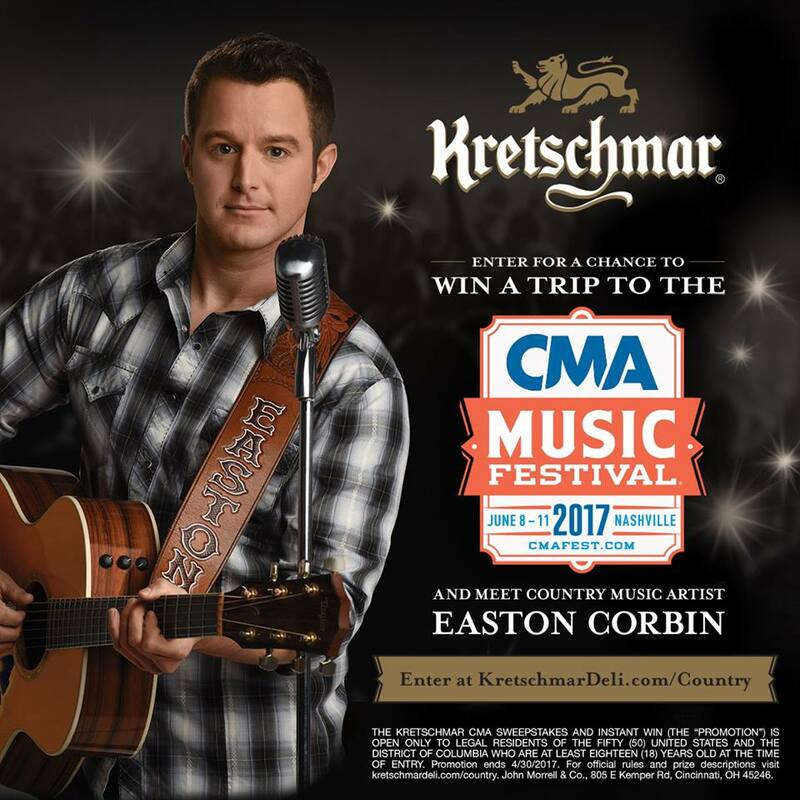 Win a Trip to CMA Fest and Meet Easton Corbin! Want a chance to see your favorite country stars up close? Enter the Kretschmar CMA Sweepstakes and Instant Win, where one lucky winner will attend the CMA Music Festival to meet Easton Corbin in Nashville. Click here to enter!